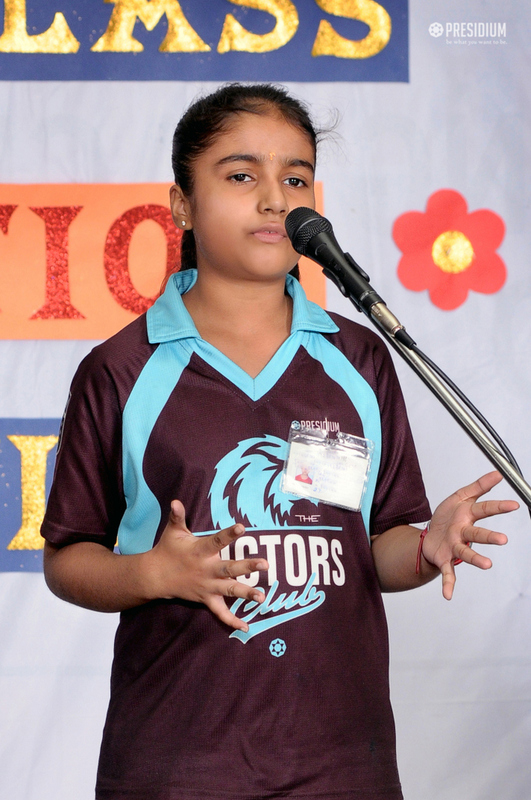 Declamation refers to one’s capacity of communicating with others, through exact speech and gestures. 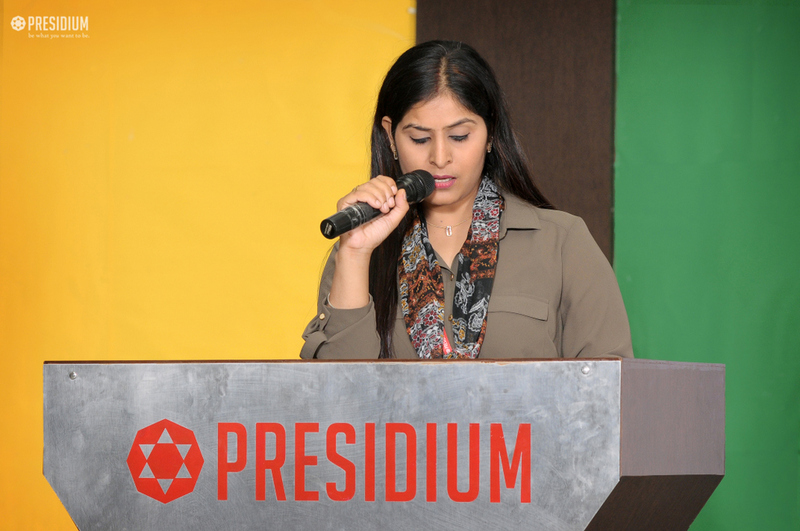 To enhance the oratory skills of the students an ‘Inter-Class Declamation Competition’ was conducted in the school premises wherein each student from grade 6 to 8 faced the audience with confidence and delivered his/her speech with correct diction, clarity and voice modulation. Students spoke with charisma and a positive thought which established a connection with the listeners. 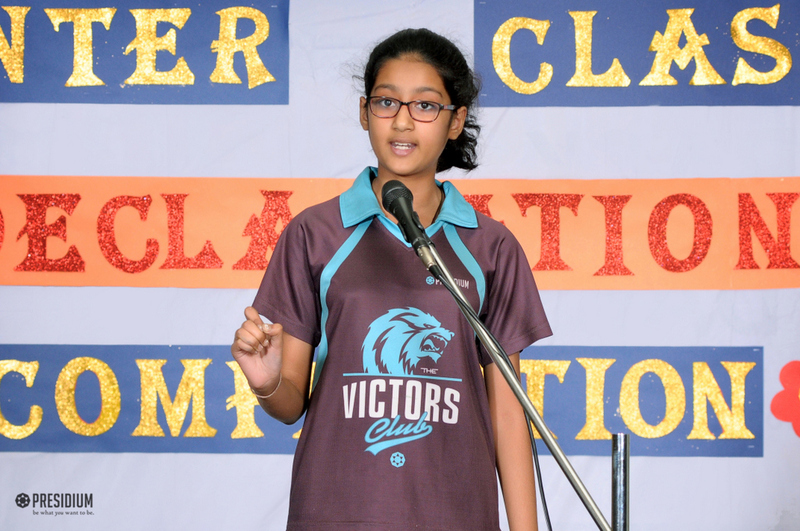 A healthy competitive spirit enlightened the faces of the students who conveyed their feelings on some of the serious issues that are occurring in the world around us every day.